Opens in 20 h 28 min. 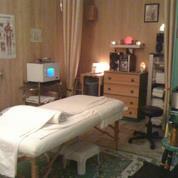 Revitalizing Touch Massage Therapy - Winnipeg is a Wellness Centre owned and operated by Ms. Lucie Roussin, RMT. 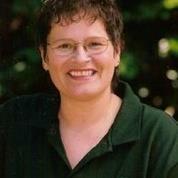 Lucie is a Registered Massage Therapist with over 20 years experience in Reiki, Aromatherapy, Hot & Cold Stone Massage, Reflexology, Hydrotherapy, Shiatsu and Swedish Massage to her customers. As a Wellness Consultant, Lucie has over 20 years experience working with elders, people with physical challenges, pregnant women and infants. Revitalizing Touch Massage Therapy combines the 3 R's of, Relaxtion, Rejuvenation, and Revitalisation. We get our clients to be one with their body, mind and spirit. The mission of our Wellness Centre is to "bring Heaven on Earth" and to help educate individuals on the importance of bringing body & mind awareness into focus and finding inner peace. Lucie is also an instructor of Hydrotherapy at the Massage Therapy College of Manitoba (MTCM)and is a member of the Natural Health Practitioners of Canada Association (NHPCA). Be the first to write a review for Revitalizing Touch Massage Therapy – Lucie Roussin, RMT!